What Makes Whole Grains So Hard to Eat?
. . . and Why Is It So Hard Saying Good-Bye to White? 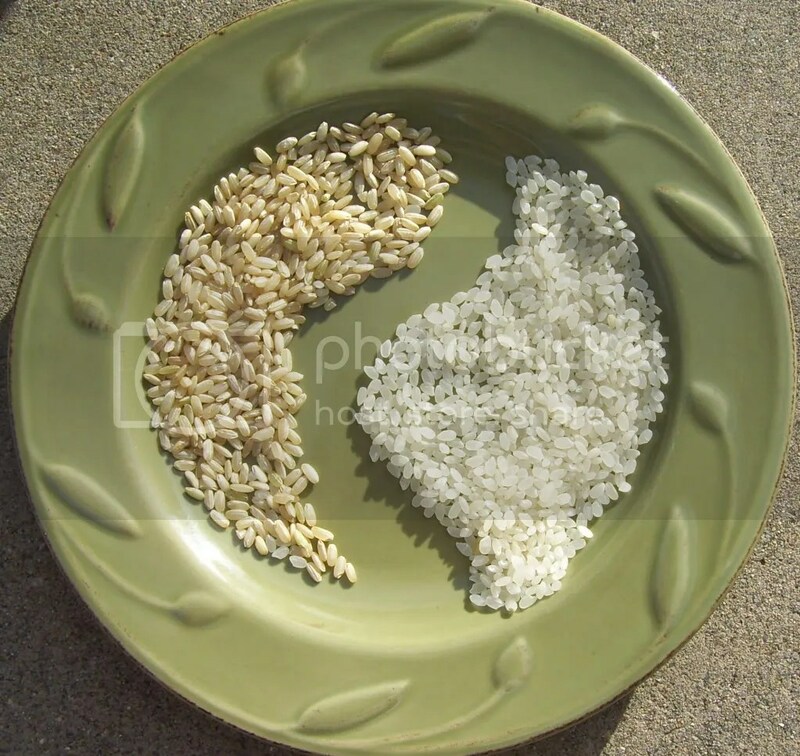 I’ve been noticing a strange thing: Magazines and cookbooks in the “health” category frequently feature recipes calling for refined white grains rather than whole grains. “Banana Walnut Muffins” sound pretty healthy but they’re made with all white flour and sugar. There’s a section on using won ton wrappers. Clever, but won ton wrappers’ main ingredient is white flour. And then there’s a quick-cook dish made with pearled barley, another refined grain. At least it’s more nutritious than most refined grains but the fact remains that whole barley can be cooked with no greater time investment by using a slow cooker. Why this half-hearted embrace of whole grains? Eating quality grains is no less than one of the four main pillars of healthy eating. How can it be so routinely ignored? In real life, these statistics play out like this: A super fit body builder buys boxes of white flour crackers at Costco, even though she is a model of healthy eating in every other way. An energetic mom serves her family only lean beef, chicken and fish but rounds out the weekly meal lineup with a couple big white pasta dishes. Or a trim 50-something guy likes to go light at night, so he orders a virtuous vegetarian sandwich–on a white baguette. What makes it so darn hard to eat whole grains? It’s not like we’re being asked to eat alien-sounding stuff like kohlrabi, kale or rutabegas. Nor are we being asked to stop eating carbs altogether. We’re simply being asked to eat whole grain versions of our white favorites. Lack of Knowledge? Maybe we don’t know that there is such a thing as whole grains and that they are nutritionally superior to refined grains. Maybe we never knew that things like tortillas, hamburger buns, cakes and French toast are all grain products that can be made from whole grains. Confusion? Maybe we don’t know where to look for whole grain products. Maybe we don’t know how to tell if a product is whole grain or not. Uncertainty? Maybe we don’t know how to use whole grains. Can you just substitute whole wheat flour for white in your favorite muffins? What kind of whole grain noodles would taste good with pesto sauce? Comfort Or could our whole grain reluctance come simply from a deep, underlying sense that whole grains just don’t cut it when it comes to comfort? While all five theories are helpful, to my mind, the comfort one gets to the real heart of the problem. Think about it: White foods and comfort go together like grilled cheese sandwiches and Campbell’s Tomato Soup. The star of every birthday party: A white flour cake. The highlight of practically every great kid get-together: Hot, fragrant, white flour pizza. The sure fire remedy for all that ails: Chicken noodle soup or mac ‘n cheese, your choice. Searching back through my fondest childhood memories, I invariably melt into visions of the fluffy white pancakes my mother made us every Friday morning before school. No doubt most of us would find many of our fondest memories inextricably wrapped in white stuff, from Thanksgiving pumpkin pies, Christmas strudels and the Sabbath’s challah to graduation cakes, wedding cakes and mom’s lasagna. So it’s no surprise when some health nut wants to put your grandma’s marinara on whole wheat noodles and you reply, “No way!” My Jewish neighbor put it this way when asked about whole wheat challah. “It can be done,” she said, “but . . . well, you know. . . .” I think we probably all know that it’s tough to wedge whole wheat into our comforting food memories. Mess with comfort foods and memories and you mess in dangerous territory. If there’s truth in this theory, then it might not matter whether we know the importance of whole grains, or feel perfectly knowledgeable about where to buy whole wheat flour and how to use it. Our desire for comfort is going to trump any whole grain virtue we can muster. What do you think? Do you struggle to get three out of six whole grain servings each day? Have you thought about what makes it so challenging? Share your ideas and I’ll share them in the next newsletter. I just make my baked goods out of half white, half whole wheat flours. The difference between 50-50 and all-white is much smaller than the jump to all-whole-grain. Whole grain flours do not hold moisture as well as processed ones, so using half white maintains a familiar texture, while actually increasing flavor. For grains used whole, the main problem seems to be cooking time. White rice takes 10 minutes, brown rice takes 45. Perhaps you could make a large batch when you have time, then reheat it when you are in a hurry? The microwave makes reheating rice much more feasible than it used to be.